In a mildly interesting bit of news for a Friday, Intel has notified its customers that it will use an additional assembly and test facility in a bid to improve supply of its latest desktop Coffee Lake processors. The new site has been certified equivalent for the said CPUs, so the finished products will be identical to those that are available today. When Intel released its Core i7-8700K, Core i7-8700, Core i5-8600K, Core i5-8400, and other Coffee Lake products in early October, they could not meet demand and many stores did not have the higher-end models in stock at all. Today, the unlocked Core i7-8700K and i5-8600K are overpriced (compared to their MSRP) and not readily available at all times (with stock status changing several times a day), which means that their supply is not continuous and Intel cannot meet demand from all of its customers. To assemble and test Coffee Lake dies into actual Core i7/Core i5 processors, Intel has been using its primary assembly and test lines in Malaysia. Binning high-end CPUs is a challenging and time-consuming operation because far not all dies can hit required frequency and TDP. In general, the more silicon you bin, the more higher-end products you can get, but bandwidth of assembly and test lines is relatively limited. To ensure a continuous supply of the popular six-core Core i7-8700K, Core i7-8700, Core i5-8600K, and Core i5-8400 processors, Intel will adding another assembly and test factory located in Chengdu, China. At least initially, the site will be used to assemble and test tray/OEM versions of the said CPUs. 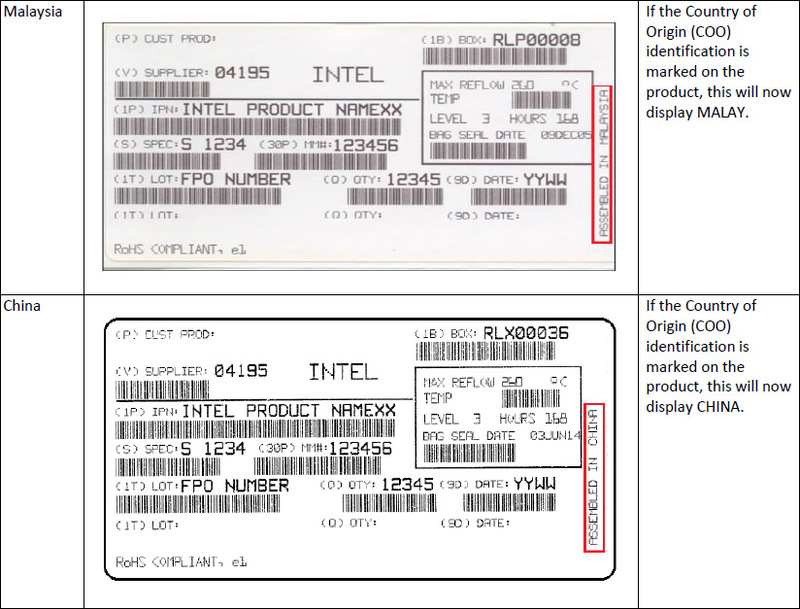 Intel’s assembly and test facilities are a part of Intel’s Copy Exactly! (CE!) program — all methodologies and process technologies they use across different production sites across the world are the same. As a result, performance, quality, reliability and other characteristics of CPUs produced, tested and assembled in different facilities are said to be equivalent. Intel’s customers will begin to receive the aforementioned processors assembled in China starting from December 15. Since the factories in Malaysia will continue to be used, there will be Intel’s Core i7-8700K, Core i7-8700, Core i5-8600K, and Core i5-8400 CPUs assembled either in China or Malaysia going forward. Intel has been working to improve yields of its chips produced using various versions of its 14 nm fabrication process for three years now, so unless there is an anomaly in Coffee Lake's design or the 14++ technology, yields of the CFL chips should be predictable. Besides, Intel uses its 14 nm manufacturing technologies in different fabs now, so processing more wafers is not an issue for the company. 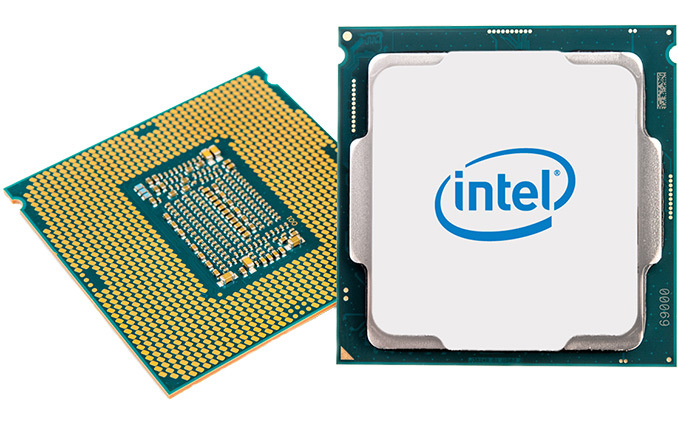 And while the bandwidth of assembly and test facilities is not usually an issue for CPUs, in the case of Coffee Lake this may be the case, if Intel's PCN is anything to go by. Since Intel does not quantify how many Coffee Lake dies it processes now in Malaysia and how many dies are expected to be assembled and tested in China due to competitive and other reasons, it is impossible to tell how the addition of another site affects supply of its latest processors in general and their high-end versions in particular. A good news here is that Intel promises that with the addition of the Chinese assembly & test lines, supply of tray versions of the six-core Coffee Lake CPUs will be more continuous. As a result, supply and demand for boxed versions of the said chips will likely get more balanced too. meh, they didn't put there very best IGP in Coffee Lake for the Desktop, so it's hard to get excited about it and spend coin to upgrade the mobo, memory and processor. Therefore, my I7-3770k soldiers on.